Please read following terms before using this website. If you do not agree to these terms, please do not use this website. This website uses the following plug-ins and helper applications. If you have not already installed them, please download them from the software companies’ websites. Adobe Flash Player is required to watch flash movies. Download Adobe Flash Player (free). * Plug-ins and helper applications may be modified and updated without prior notification. This website contains pages that use style sheets. Enable style sheets in your browser settings if there is a problem with the display of the website. Please consult your browser’s Help menu for more information on checking your style sheet settings. Downloading files may not be possible and some screens may not be properly displayed if the browser security level is set to “High”. In this case lower the security setting to “Medium-High” or “Medium”. The copyrights for this website belong to Paperdiorama.com and the copyrights for the various materials introduced on this website belong to their respective owners. Issues pertaining to Rights of Publicity may arise regarding the use of any of people or characters displayed on this website. Except as otherwise permitted, Copying, modifying or distributing all or a portion of any of the photographs, illustrations, logos, documents and other creative properties contained on this website without prior consent of Paperdiorama.com or the respective rights holder is strictly prohibited. 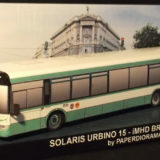 While every effort has been made to ensure that the information on this website is accurate, current, and useful for your purposes, Paperdiorama.com makes no guarantees in this regard. Paperdiorama.com also does not guarantee the continuity and reliability of the services provided, the availability of site access, or permission to download materials. In no event shall Paperdiorama.com be liable for any damages whatsoever resulting from the use of this website. 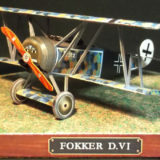 Paperdiorama.com may at any time update, change or delete the information provided on this website without prior notice. Paperdiorama.com shall not be responsible for any damages resulting from such actions. All of the materials provided on this website can be freely used for personal and non-commercial purposes. – Downloading material for personal use in making and enjoying paper crafts with your family. – Downloading materials for use as educational materials in schools and other educational institutions, providing that this website is clearly displayed as the source (in such cases, use of the material is not limited to the person who downloads it). On this website, Paperdiorama.com may include links to websites that are managed and operated by third-party corporations or individuals. 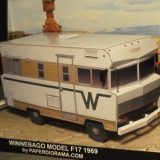 Paperdiorama.com does not manage these websites and is not responsible for their content. Furthermore, these links do not necessarily imply any special cooperative relationship between Paperdiorama.com and the operators of such websites. 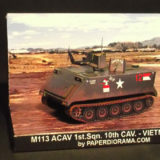 Paperdiorama.com simply provides these links for the convenience of our customers and is not necessarily recommending the use of these websites or the products and services they offer. 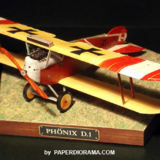 Paperdiorama.com shall not be responsible for any damages resulting from use of the linked websites (including, but not limited to, any damages related to personal information). Access to any third-party websites is entirely at your own risk. Please check the privacy policies and other conditions of the linked websites. You may provide links from your website to this website, provided that you agree to the following conditions. 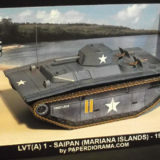 Paperdiorama.com shall not be liable for any damages that may result from your posting a link to this website. Paperdiorama.com assumes no responsibility to continuously maintain the URL and the information posted on this website, which is subject to change without notice. You are not allowed to provide a link in such a manner as to make it unclear that this website is operated by Paperdiorama.com, e.g. displaying this website in a frame. Direct links to downloadable materials are also strictly forbidden. 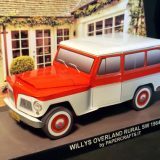 You are strictly prohibited from providing any link in such a manner as to infringe on the rights owned by Paperdiorama.com or to interrupt the operations of Paperdiorama.com. You are strictly prohibited from providing any link with engaging in commercial activities or aiming to gain profit, too. A link to this website from your website does not imply that any special or contractual relationship exists between you and Paperdiorama.com. Paperdiorama.com makes no warranties in connection with any link provided by you to this website. 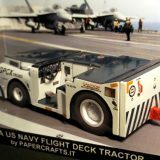 Paperdiorama.com assumes no responsibility, liability or obligation with respect to you. 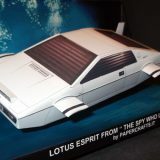 A link to this website from your site does not imply that Paperdiorama.com has granted you any rights with regard to the information on the website (text, images and all information displayed on this website). Paperdiorama.com will block access to this website from your website if it transpires that you have violated any of the above conditions, or if Paperdiorama.com deems links from your website to this website to be unsuitable. to a particular online advertising campaign. ditional cookie to ensure the correct playlist functionality on the site. We use third party advertising companies to serve advertisements on our online services including a company known as DoubleClick and Google’s AdSense program. The ads you receive are influenced by various factors, including your browsing history prior to visiting this website. ABOVE (EXCEPT TO THE EXTENTYOU HAVE MODIFIED YOUR BROWSER SETTINGS TO REJECT COOKIES). 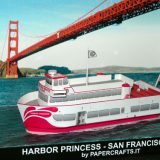 Paperdiorama.com – Download > Print > Have Fun!